Excited for MISC 2018 but nervous at the prospect of the Professional Networking Night? Say goodbye to those worries – we are bringing you our top ten networking tips to make a stellar impression and obtain maximum value from the event. Most networking events, especially those aimed at a specific industry or centred around a theme, will have a ‘who’s who’ list of invitees available beforehand, like the companies being represented. Do your research on the people and/or organisations at the event that interest you. This will enable you to ask more insightful questions and engage in meaningful discussions with the people you wish to impress. Know who you want to talk to. While active reconnaissance as such may not always be an option, spending time on the people you can form deeper connections with is always more valuable than aimlessly meandering around the room, having two-minute interactions with any and every group you can find. Ditch the ‘I am so-and-so from this university studying this’ spiel, especially as an introduction. While you can always work that into the conversation later, it might serve you well to distinguish yourself from the milling crowd by throwing out interesting tidbits about yourself, passions and achievements that identify you more than a degree or university could. Are you bubbly by nature? Witty? Really interested in cellos? Don’t be afraid to demonstrate your personality a little while networking with potential contacts. Stay well-mannered and polite at all times, but do not shy away from showing that there’s a real person behind all those marketable skills. Is it true that networking can often be the key to securing a great opportunity? Absolutely. However, that’s the kind of conversation that should be initiated on the prospective employer’s side, or the one happening over a third coffee with an established contact. 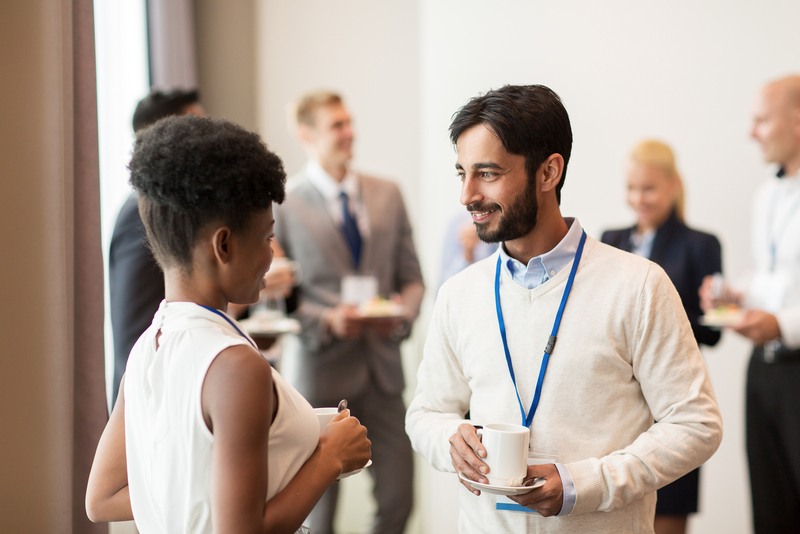 Networking events are where such relationships begin, so don’t skip over the rest of the steps – there’s nothing as awkward as asking a virtual stranger for a favour at the first meeting. Networking events, by their very nature, tend to be conversational. Hogging this conversation or turning it into an ad about yourself can do more harm than good. Displaying interest in the person opposite you instead of solely marketing yourself to the professionals, leaves a much better impression. This can be a tricky one to balance. While some argue that you can never have enough contacts, it is worthwhile to consider the quality of those relationships being made. Having a stack of business cards at the end of the night is not constructive if you can’t distinguish one person from the other. Exchange details with people you are genuinely interested in remaining in touch with, and don’t forget to follow up! While networking events are a great opportunity to talk to industry professionals and experts in their fields, don’t neglect your peers! These are people who you are going to be working with, people at similar points in their career paths and it can be really illuminating to hear their stories and know the endeavours they’re currently a part of. There are many who feel dissatisfied after a night of networking, simply because they weren’t the loudest person in the conversation or the one who had a lot to say. This is a misconception, as listening to people can often be just as instructive as contributing, in fact even more so. While making yourself heard, especially while making contacts is one of the aims of networking, learning from the people you meet is also another great one. Networking can seem like a scary and intimidating concept, but it doesn’t have to be! At the end of the day, all you’re doing is talking to people. So leave the stress and anxiety behind, dress up to the nines, snack on some hors d’oeuvres and don’t hesitate to enjoy yourself. Interested in further networking insights? MISC 2018 will be featuring a talk by Liz Lor of Green Dragon Consulting, who will be exploring what it means to network in a culturally diverse environment. So don’t forget to grab your tickets, and happy networking! Interested to find out more? Visit the Melbourne International Student Conference website for full program details. This article was produced by La Trobe University student Meghalee Bose. Meghalee has been involved in the Melbourne International Student Conference since 2016, first as a conference delegate and now as a valued member on the organising committee.